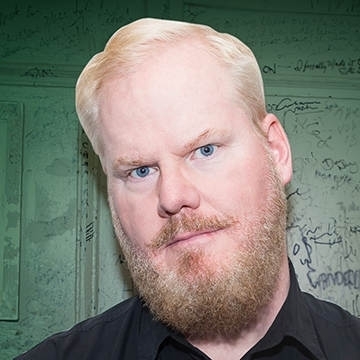 Gaffigan is a four-time Grammy nominated comedian, actor, writer, producer, two-time New York Times best-selling author, Emmy winning top touring performer, and multi-platinum-selling recording artist. He is known around the world for his unique brand of humor, which largely revolves around his observations on life. Gaffigan also has two films releasing later this year in which he is the lead. They are a comedic film called Being Frank opening Father’s Day Weekend and American Dreamer. This year Gaffigan will release his unprecedented 7th stand up special, Quality Time with Amazon making history as their first original comedy special, and continue his international arena and theater tour. Jim will be joined on the night by Aoife O’Connor who was born and raised in Letterkenny. Aoife's comedy comes from a life lived in the middle of nowhere. From the tragedy vampires you meet day to day (older women who Love misery), to your typical Donegal wake, Aoife shares her experiences of mild countryside trauma with a touch of confetti on top.